Do you recall coming across those diagrams with overlapping circles that were popularised in the ‘sixties’, in conjunction with the “New Maths”. 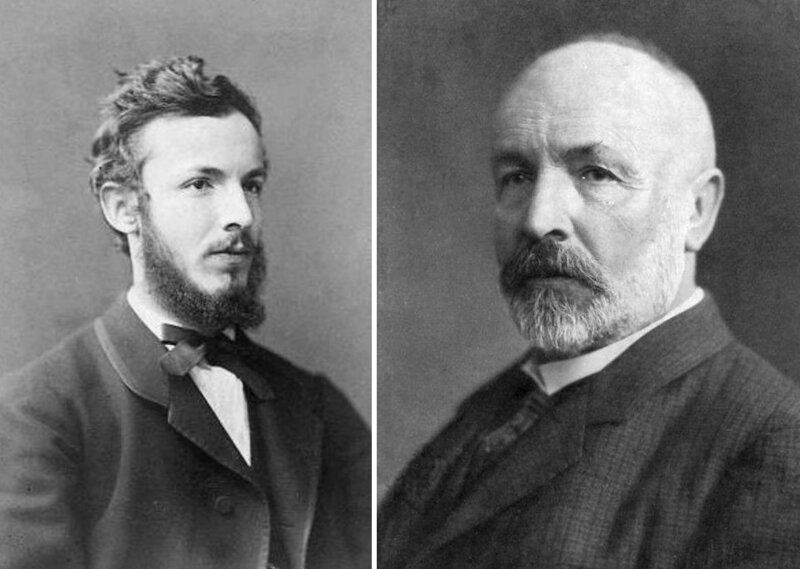 They were originally introduced around 1880 by John Venn, and now bear his name. Left: Stained glass window at Gonville & Caius College, Cambridge showing a Venn diagram. 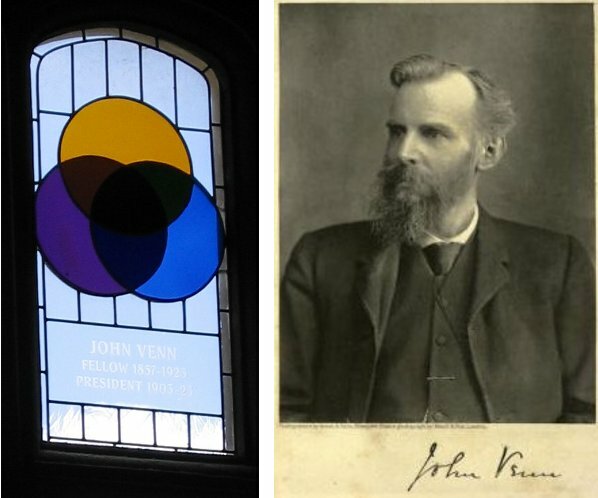 Right: John Venn (1834-1923) with signature [images Wikimedia Commons].